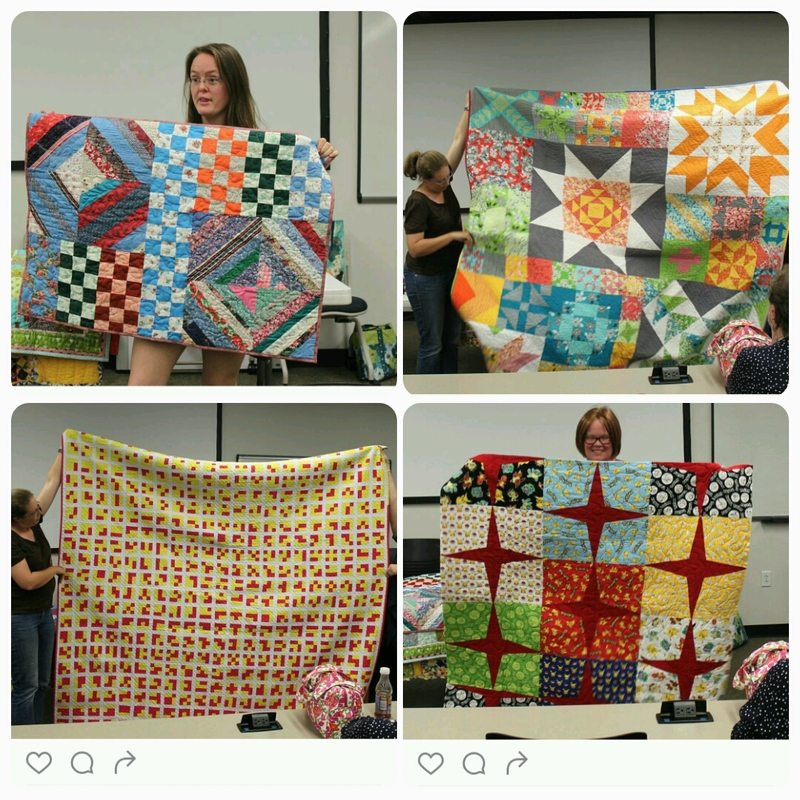 Hey Everyone, I am truly sorry for this late blog post about our April Meeting. It was a great meeting, and I am sorry if you missed it. First off, we took care of some business that included discussion and nominations for Abby’s position of Vice President of Communications. We had two nominations, Jeanne Lobsinger and Maureen Kelly. Unfortunately, at the board meeting, we realized that Maureen is ineligible at this time to run for a board position. We are keeping nominations open until May 10th. If you are interested, please email the board by then. An email will be sent out prior to the May meeting where we will make a decision. Our guest speaker this month was the always entertaining Randy Cole of ABCSewing (ABCsewing.com). This time he brought a sewing machine to demonstrate the fact that “the walking foot does NOTHING.” We had a lot of fun trying to wrap our head around that concept and putting up counterpoints to his argument. He simply just kept demonstrating that it “does nothing.” He suggests for everyone go buy a rolling foot to lesson the drag. I think this photo is from his disbelief that some of us did not believe him. 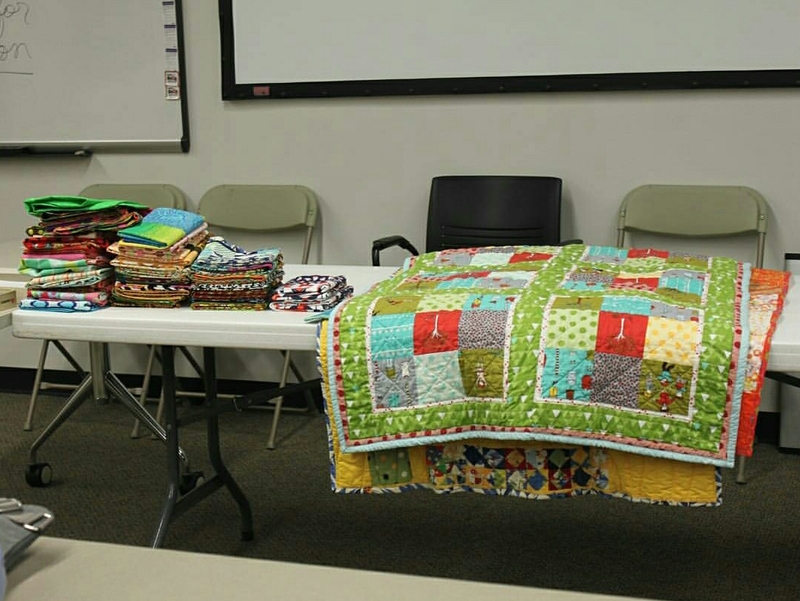 Members’ medallion quilts are coming along there were some great ones being shown. And as always… Show and Share was inspirational! Let me end by saying the Fort Worth MQG members rock!!! To date you have made 111 pillowcases to be donated to ACH Family and Child Services and 30 Nap Mats to be donated to Center for Transforming Lives . Click on the links to be directed to their ‘About Us’ pages. We will continued to collect these items through out the year. Remember our pillowcase goal is 150 and the nap mat goal is 100. See General Information about sizes. For convenience, I am including the General Information that was printed on the back of the Agendas. I have updated them to reflect current information. 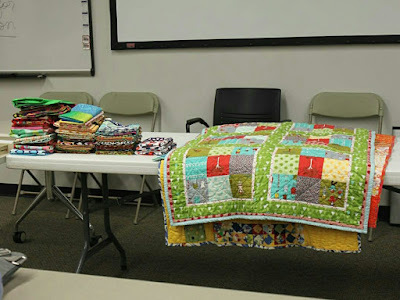 July Meeting: Jacquie Gering of Tallgrass Prairie Studio will give a trunk show and lecture Thursday. Precision Lines Workshop on Friday July 22nd will cost $100 and take place at Pleasant Ridge Church of Christ, 6102 W. Pleasant Ridge Rd, Arlington 76016. Payments to Jenn Haxton. Supply list to be emailed. 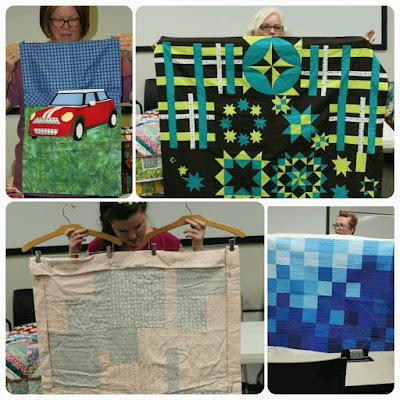 October Meeting: Melissa Eubanks of My Fabric Relish will give a lecture on October 20th. 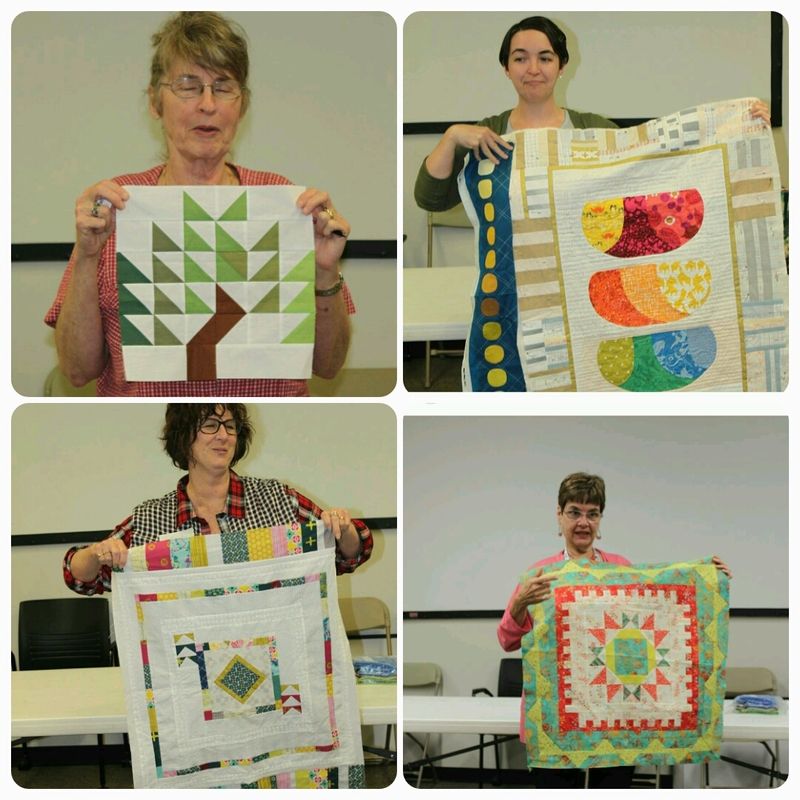 Prickly Flower Quilt Workshop will be on Saturday October 22nd at Sew Fabricated. Sign ups start in May. 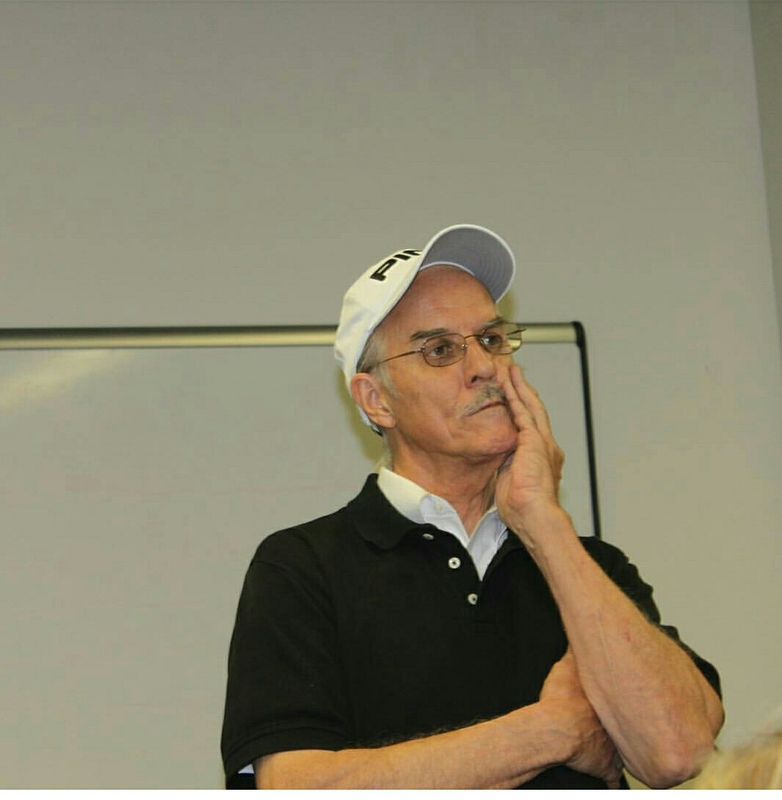 September 8-10th Day Retreat at Pleasant Ridge Church of Christ, 6102 W. Pleasant Ridge Rd, Arlington 76016. 9am-6pm any or all days. We can leave our sewing machines set up, sleep at home, have potluck meals or go out. Cost: $40 for 3 days. Quilt Exhibit at Ontario Museum of Art and History in California: Theme: Modern Quilts: Redesigning Traditions, December 1-January 22, 2017 Entry deadline: June 15, 2016 Contact ghawley@ontario.ca.gov for applications and information. Hope to see you all at our May 19th meeting. 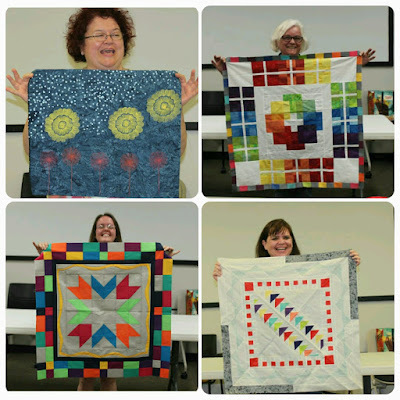 We plan to talk about QuiltCon 2016 and the upcoming QuiltCon 2017.